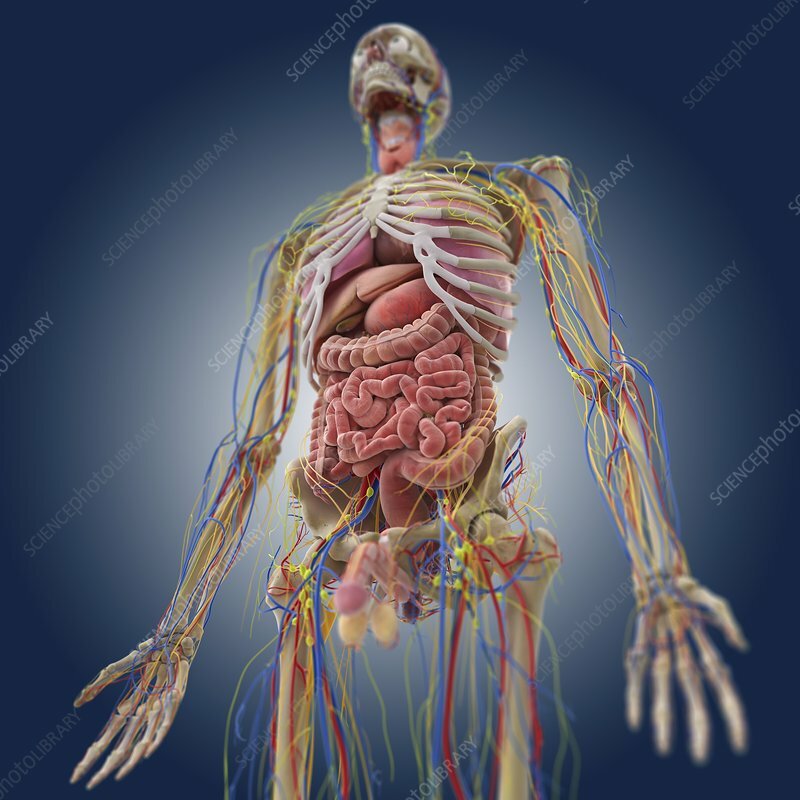 Human anatomy, computer artwork. At centre right is the stomach (pink), with the liver (brown) to its left. At lower centre are the small intestines, surrounded by the large intestine. Bones are cream, arteries are red, veins are blue lymph vessels are yellow and nerves are orange.